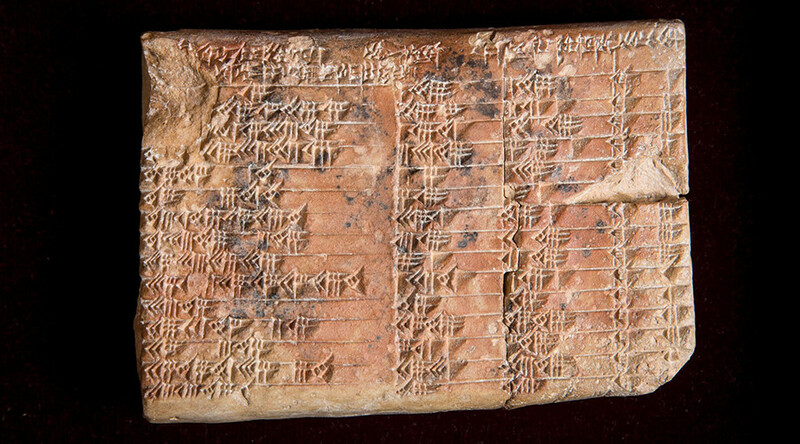 The mystery of a numerically-coded Babylonian tablet has been cracked, with scientists in Australia revealing the 3,700-year-old clay artifact is the world’s oldest trigonometry table. Discovered by 20th century archaeologist Edgar Banks, the ancient clay fragment, known as Plimpton 322, has puzzled scientists for decades. Now researchers from University of New South Wales, Australia, say the tablet is actually the earliest known trigonometric table, predating Hellenistic models by 1,000 years. Consisting of four columns, the palm-sized ancestor to the familiar Sine, Cosine and Tangent trigonometry functions displays 15 rows of inscribed numbers and uses a sexagesimal numeral system. Normally held at Columbia University in New York, the tablet’s uses are detailed in a Historia Mathematica journal study. The clay relic was most likely used in the construction of buildings to determine the ratio of angles. NSW researchers Dr Daniel Mansfield and professor Norman Wildberger say the identification of a pattern called “Pythagorean triples” was a key clue to pinpointing the tablet’s purpose. “Our research reveals that Plimpton 322 describes the shapes of right-angle triangles using a novel kind of trigonometry based on ratios, not angles and circles. It is a fascinating mathematical work that demonstrates undoubted genius,” Dr Mansfield said. Wildberger said the Babylonian relic was created before the studies of Greek astronomer Hipparchus, who is regarded as the founding father of trigonometry. “Plimpton 322 predates Hipparchus by more than 1,000 years,” Wildberger said. “It opens up new possibilities not just for modern mathematics research, but also for mathematics education.